Chris Lydon and Mary McGrath are putting the band back together, re-launching “Open Source” on public radio in Boston and as a podcast and conversation platform at this site. 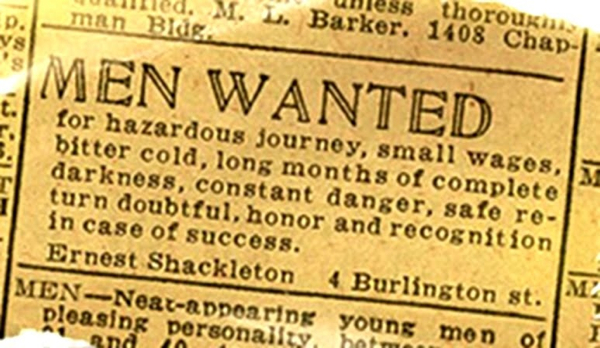 We’re looking for a few good men and women to join the adventure. There are opportunities for both full and part-time work for a few Boston-based self-starters– “self-stahtahs” as we call them in the Hub. Some experienced is required. We’re looking for people who still read books and who have wide interests in the arts, ideas and politics to blog, share and promote our content and conversations as well as dig up interesting new stuff to share with our audience. We’ll need help updating, adapting and expanding our WordPress site, producing multi-media extras for it and keeping track of analytics. We have a worldwide community that wants to be involved and engaged in ongoing conversations. With an exciting new partnership with WBUR radio in Boston, we’re looking for new ways for an expanding audience to participate across our web and broadcast platforms. How are your recording and ProTools or Hindy chops? Can you help us integrate our site with SoundCloud? We’ll have more conversations to record and edit than we can handle, so we’ll need some help getting them produced and then distributed across the web and public radio outside Boston via PRX and other services. No one has cracked the code for supporting and sustaining high quality on-line media, but we have some interesting elements to work with in a smart, active community and a new broadcast platform. We want to be built to last. What are the media partnerships, promotions and collaborations we haven’t unlocked yet, and what are the events, special projects and features we should be cooking up? Yes, we’ll pay you decently, and we promise you’ll be having more busy fun at a job than you thought you could. We’d love to hear from you. Send a cover letter describing your interests and why you might like to join our merry band. Include a resumé with a reference or two and your twitter handle. We look forward to meeting you. 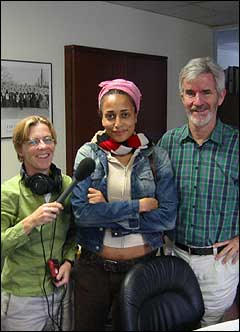 Mary McGrath and Christopher Lydon have worked in public media together for nearly 20 years. They created an award-winning call-in talk show for WBUR in the 90′s called “The Connection.” They created “Open Source,” a national program and blog for public broadcasting from 2005 to 2007, which was independently produced by them and supported by the MacArthur and Schumann foundations, the University of Massachusetts at Lowell and by donors. The show got credit for pioneering the use of social media in radio production and distribution. Since 2007, Chris has hosted hundreds conversations on the Radio Open Source website which are distributed through iTunes. Back in 2003 Chris hosted the first podcast with the web innovator Dave Winer at the Berkman Center at Harvard Law School. The new project, Open Source with Christopher Lydon, is a co-production with WBUR radio in Boston. Chris and Mary will also be producing additional conversations and content that will be available on-line in podcast form and available for broadcast outside of Boston. A fuller description of the new project is here. Good news for dear friends!